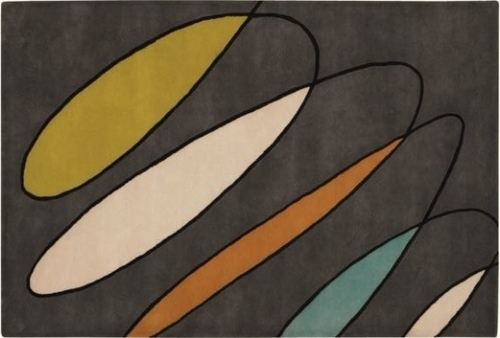 The Bense Garza is a soft geometric patterned rug with lots of interest for any home décor. The Bense Garza is hand crafted from New Zealand wool and imported from India. Seen in a charcoal grey, chartreuse, cream, orange, and aqua.